The insertion of pins into printed circuit boards was long a laborious but necessary task and one which demanded a significant investment of both time and resources. When done by hand, this delicate job is difficult to get exactly right, especially at speed. And because of that fact, it was only relatively recently that automated machines capable of undertaking it was invented. How Are Pins and PCBs Connected? Pins are an essential component of PCBs. They are the fundamental building blocks which are used within an interconnect system and can act both as a conductive path for an electrical circuit or as a reinforcement to strengthen the PCB. Without the use of pins and sockets, the manufacture of complicated interconnected PCBs would be practically impossible. The pin and socket system is perhaps the most important product in the field of electronic connectors. Because of the nature of electronics, different manufacturers would prefer different pin and socket systems- some larger, some smaller, and some an alternative shape. There are a staggering variety of different pins used in the manufacture of PCBs. As such, pin and sockets go by many names: plug and jack connectors, pin and receptacle connectors, and male and female connectors; but all share the same purpose. This presents a problem for engineers working for businesses like WORLD electronics, which both manufactures and repairs PCBs. The variety of pin and socket systems means that engineers when assembling a PCB, may have to use different pins in different applications either within the manufacture of a single product or between the manufacture of different products. This complicates the process of assembly, and vastly increases the time it takes to put a PCB together. 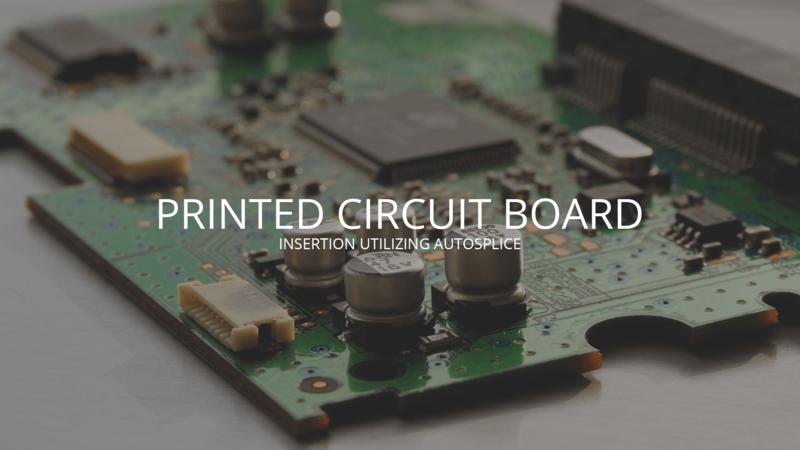 To avoid these problems, WORLD electronics utilizes AutoSplice’s automated printed circuit board pin insertion system. The AutoSplice CC-112 Compact CNC automated pin insertion machine was designed as a cost-effective solution for small to medium volume, high-speed insertion. The CC-112 is a compact, bench top automated insertion system which combines high performance and quality and can be used in a variety of applications. The CC-112 is entirely automated and features an integrated computer controller. Its modular tooling head allows for rapid changeover, and its high level of accuracy allows for a minimum of incorrectly manufactured products. This drastically reduces waste over the course of a manufacturing run. The AutoSplice CC-112 is capable of to 12,000 insertions per hour and has a variety of head configurations. This helps WORLD electronics to provide an excellent service for our clients, especially in terms of production output. The variety of product-specific head configurations supplied with the AutoSplice CC-112 also enables WORLD to work with a wider variety of products than our competitors. Please contact to discuss your specific needs about our capabilities. Our engineers will discuss with you the precise specifications of your project and can explain whether pin insertion will be a necessary step during manufacture. The AutoSplice CC-12 ensures that if it is a necessary step, that it can be completed quickly, and will not compromise the aggressive timescales we work towards with all our clients.